Professional Sound Mixer with gear specializing in sound capture for Commercial, Documentary, ENG, Reality and Narrative Productions. Rest assured, with over 9 years of experience, your Production Audio Needs are in good hands. Production/location sound mixer with all the right tools. Run and gun and full cart set-ups, you'll never wait on sound. Commercial, documentary, corporate, news, sports, and reality experienced. Please see website for credits and gear list. 7+ Years Experience as a Production Sound Mixer; I have worked on over 200+ productions. I offer two fully loaded ENG Audio Packages which include industry standard sound equipment. I am versatile, dedicated, punctual and can guarantee you the best sound for your project. I am located in Arizona but willing to travel to wherever your next project is. I am a multidisciplinary sound mixer, boom operator, and sound editor available for union & non-union projects. For over 12 years I've recorded and mixed dialogue for narrative, commercial, vérité, and industrial productions. My work has contributed to many television & film releases, including Emmy-nominated sound teams. Solutions-oriented. 20+ years experience. State-of-the-art. Equipped for Features, Commercials, Documentary, Episodic, Reality, Travel, Nature, Corporate, Internet and more. Double system multi-track sync to Newest HD Cams, Film, DSLR. See website for more details. Location sound mixer with over 20 years of experience. Audio services for sports, corporate, commercial, episodic, news and documentaries. I specialize in sports, ranging from football to motorsports. File based, multi-track, timecode recording and wireless coordinating. If I don’t have all the equipment that you need, I have access to it. Experience with location sound recording for 11 years. Equipment including sound devices 744t, 442 mixer, lectrosonics lavs, sennheiser. Also work with post production audio like mixing, voice overs, sound design & 5.1 mastering. Specializing in documentary, reality TV, features, narratives, time lapse and corporate video production. 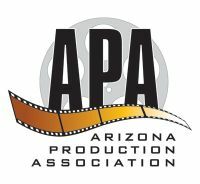 Recognized industry wide in L.A. and Phoenix. I specialize in HIGH QUALITY MOTION PICTURE RECORDING SERVICES. MODERN and EXTENSIVE file based equipment packages. PLEASE see our website for any other information. IA 695, CAS and APA affiliated. My ONLY JOB for 35 years! Not a hobby. Production sound mixer with over 25 years experience. Commercial, Feature and Episodic productions. Sync to all formats of cinema cameras. Equipment packages for Cart or ENG/EFP. Sonosax SXST mixer, Sound Devices recorder/mixers with 10 to 64 tracks. Non-union or union productions. I.A.T.S.E. locals 336 and 480. N.A.B.E.T, I.B.E.W. HD / DIGITAL FILM / BROADCAST. 25+ years experience. State of the art equipment. Quality Work. Reliable & Flexible, Anytime, Anywhere. CBS, ABC, NBC, HBO, ESPN. Corporate Rates to match your budget. On-set sound mixer and recordist with a great attitude and easy to work with! I provide high quality, time code synced, file based audio recordings with the latest in production sound equipment from Sound Devices, Lectrosonics, Schoeps and Sanken Microphones. Professionally organized LLC, insured, IATSE.